"Building Bridges in Community." It's the motto of the Muslim Coalition of Connecticut (MCCT). 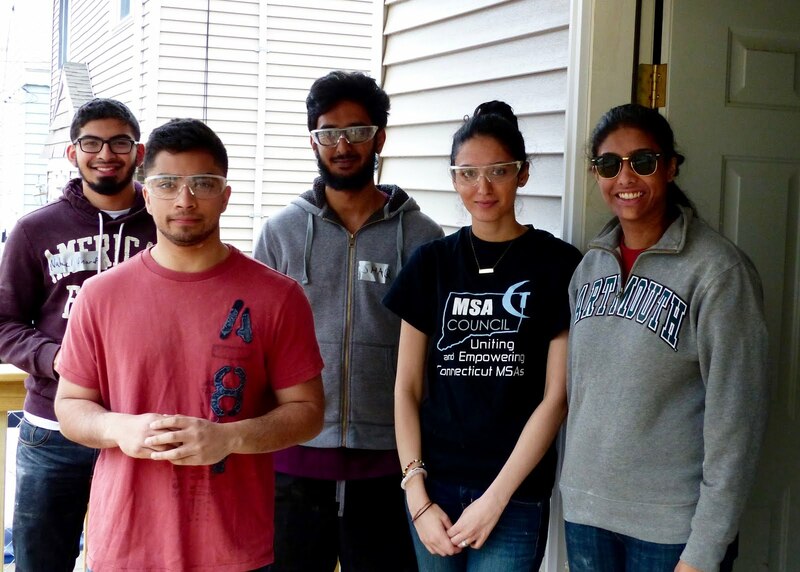 Nabeel, Sameer, Shaq, Nour and Faseeha, five young Muslim leaders and professionals on the rise, were living that motto last Saturday volunteering at a Habitat for Humanity home being built in Hartford. As a Hartford Habitat board member, I met with them briefly simply to say thanks for coming out to work on the house. MCCT year after year is one of Hartford Area Habitat for Humanity's most consistent and dedicated faith-based volunteer groups, especially on our interfaith builds. Their service, as well as that of all of the many diverse faith communities that collaborate with Hartford Habitat, is invaluable. As I wrote in my February 26, 2016 blog, Walking the Interfaith Path, "think of the impact collaborating faith communities could have sharing their common principles of welcoming and serving people in need -- the neighbor, the stranger, the marginalized, the vulnerable...Think of the impact collaborations could have in advancing the peace, understanding, and acceptance among different faiths when they come together to work in partnership for the greater good of the world." The faith communities collaborating with Hartford Habitat have that impact, and MCCT definitely is one of them.